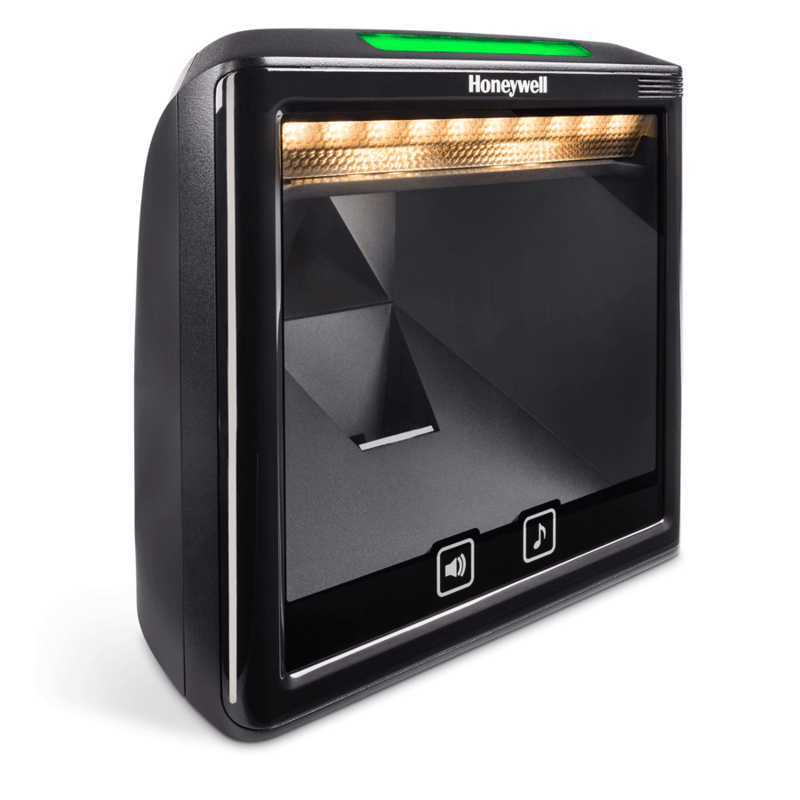 For retailers looking to elevate checkout throughput, improve the customer experience and better execute mobile marketing programs, the Honeywell Solaris™ 7980GEL vertical slot scanner is up to the task. With its compact, modern design and powerful imaging capabilities, the Solaris 7980GEL scanner fits easily into existing enclosures used in high-volume retail checkout environments such as convenience, drug, specialty, liquor and grocery stores. Incorporating Honeywell Adaptus™ 6.0 area-imaging technology, the Solaris 7980GEL scanner delivers exceptional scanning performance on 1D and 2D barcodes and can even read smartphone screens, digital wallets and printed identification cards. Omnidirectional scanning capability – along with an extended depth of field and advanced decoding software – allows cashiers to scan virtually all barcodes on the first pass, with minimal concern for orientation or barcode print quality. Available with powerful 2D imaging capable of reading digital coupons off smartphone screens, and printed ID cards. Soft, white LED illumination eliminates glare without compromising performance. Simple to install, with power-over-USB.